Home / Blog / A story of faith: Jesus will meet you where you are. A story of faith: Jesus will meet you where you are. This is about faith, commitment, discipline and the power of prayer. 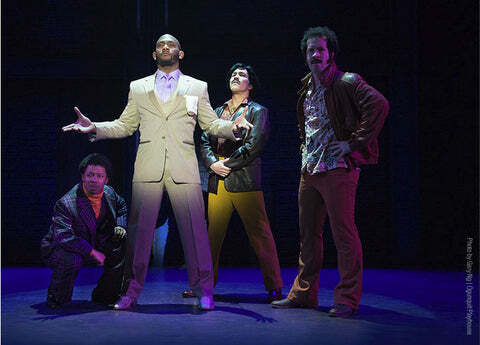 You may know that lead choreographer, Apollo Levine, is also an actor/performer/dancer (oh yeah he sings too). But in between working on-stage, which is his life's dream, he works more "regular" jobs - sometimes teaching dance, working at a gym, leading fitness classes - sometimes part-time, sometimes full-time jobs - but all with the intention of using those jobs as the fuel to keep the entertainment engine running. You gotta have tough skin to do this kinda work. I myself couldn't do it. I don't have the heart for that kinda exposure, vulnerability and rejection. In some ways ironically, being a actor who is also Christian can make it tougher - there are always those who will question the authenticity of your faith by the projects or roles you play on stage or TV. My hat is off to those in the entertainment industry. You gotta be a strong person to do this for a living. At 6'1, Apollo can appear a bit intimidating at first. But once you meet him and have a conversation with him, you realize that he's such the gentle giant. A man with an infectious smile, a heart of gold and an unapologetic love for the Lord that is simple and plain. Apollo has been on countless auditions and has been in several notable shows. So when he went to the audition for Sister Act, The Musical it was pretty much business as usual. You study, you practice, you pray. Then you go and try - then wait and see. That's pretty much the life of a working actor. In this case, after the first audition he got a call back the next day. That's a good sign and means that they saw something they liked and increases your chance of getting the part. Except after the call back, he didn't get the part. He got another call back. Ok pause for those who don't know what a call back is (I just found out this year), it's like going on the next interview phase for a job. It means they call you to come back in and do some more stuff, say some lines, sing some more songs and then... you wait. So getting a third call back is a really good thing if it's a role you really want. And of course it's even better if it's one you ultimately get. And usually... you find out fairly fast - I mean after 3 interviews, you kinda have a feeling if you got it ... or didn't. Except this time he didn't know - didn't have a feeling one way or the other. The whole time, Apollo kept going to work, kept teaching Shazzy classes, kept going to Bible Study - doing what he knew to do. You may wonder how I know so much about this story. So if you didn't know, I simply adore our entire team, we are truly an extended family. We couldn't do what we do without loving each other - period. Apollo and Vera however are my two closest friends. I speak with them often and love them both to pieces. They are not only my partners in business, but also keep me sane as I'm still trying to navigate this whole fitness industry thing. They've prayed me through many hard circumstances and I also pray for them daily. So, after each and every call back, I too was praying - asking God to direct his paths and yes, praying that he would claim the role he had worked so hard to get. Those were really tough weeks - probably more for me than Apollo actually. He is usually the laid back, "let God have it and leave it alone" kinda guy. I'm more of the "God I know you have it and you're doing an excellent job, but would it be ok if I try to help you out... just a little?". That of course, is a whole other matter to be dealt with! Typically, as time goes by, there's less and less a chance that you got the part. And you start to wonder, what is God doing here? Why would God allow his child to go through this? Why isn't God answering our prayers? Is God really with us or has He left us? My friend Sabrina Caraway recently reminded me of the story of Jesus on the boat with the disciples after he'd risen. They were still in a state of mourning, probably depressed and dejected. And in that state of despair, they decided to go back and do what they knew how to do - go fishing. It was there on the boat that they ultimately recognized Jesus and eventually caught so much fish - almost more than the net could hold. The lesson for me is that when we feel lost or abandoned, it isn't a reason to give up or stand still. We must still work at whatever we're trying to achieve, in a way we think best represents the light of Christ. Because in reality, Jesus is always right there with us, even when we don't see him. And if we just stay obedient, and do what he says, eventually we'll be blessed with abundance. Apollo Levine was cast as Curtis, the leading man in Sister Act, The Musical in April 2015 - it is an incredible cast and a phenomenal show. 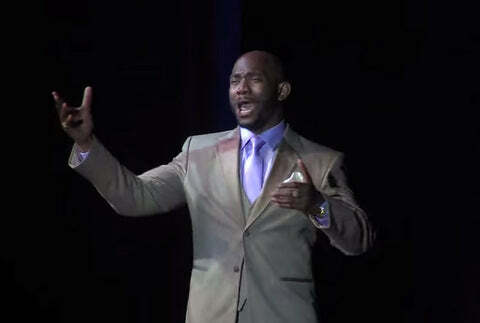 The role of Curtis in Sister Act will never be the same. Kristy McCarley is CEO of Shazzy Fitness. She writes blog articles about faith, dance, exercise, fitness and wellness. Thank you for sharing this. I definitely needed it! God bless and congrats to Apollo! Thank you for sharing that story I am trying to launch a youth mentoring non-profit and I have been really waiting so this was right on time for me. I won’t give up I know what God showed me and I will not fail 2017 look out for Youth W/S.W.A.G. (Serving and Worshipping to Abide in God). Again thank you and keep inspiring people we need that. 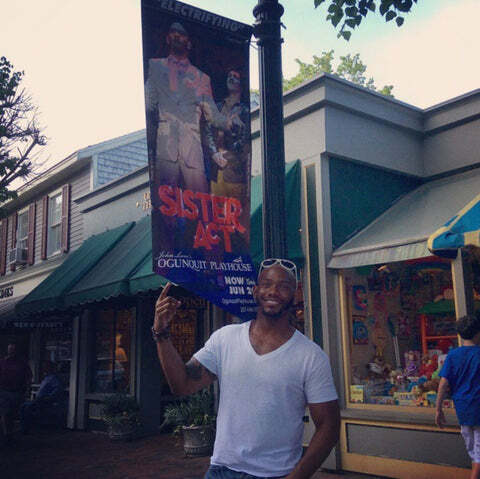 Is it ok for us to know where he is performing Sister Act? It would be great to see this brother in action. I needed to hear this story today and I need to pass it on to a friend who needs it for the same reasons. I know God has already worked out a plan for us, the thing is we have to appreciate what He has already done, have faith that He will do what He said He would do and listen for His voice and His confirmation while going on with our daily lives. Sometimes we think we should wait for God to show us and then we will go, but God expects for us to go and do good works and He will show us. Faith without works is like a wagon without wheels. Thanks for this story and this reminder. A very good store! All we have to do is wait on God and he will help us all the way.